With a wave of 3D products coming to the market, it’s difficult to know what is compatible with the new specs. While Blu-ray Disc players from one brand are compatible with televisions from another brand, the same is definitely not true for the required 3D shutter glasses. 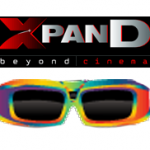 XpanD has been a leader in third-party 3D glasses. They claim they work with any manufacturer’s IR sync signal, the problem lies with the color tinting associated with television manufacturer glasses. Each brand has a unique shade on their lens, and the television (while in 3D mode) corrects for this shading. 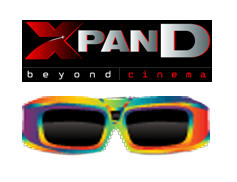 HD Guru tried out the XpanD glasses and found they will give different experiences based on different television brands. Mitsubishi and Samsung lenses add a green tint, and Panasonic and Sony have an amber tint. With the universal glasses, people would look like either purplish or bluish respectively. It may be possible to set up a custom color setting on your TV to make up for this tinting effect, but you will have to have a TV which can save multiple custom settings. In related 3D glasses news, Toshiba is now manufacturing liquid crystal panels for 3D glasses.